Charles Cushing Wright (born 1 May 1796, in Damariscotta, Maine, died 7 June 1857, in New York City) was an American engraver and medalist. In 1825 he was a founding member of the National Academy of Design. Wright was first apprenticed to a silversmith in Utica, New York, then came to New York City in 1823 and established a partnership with the painter Asher Brown Durand until 1827, named Durand and Wright, Engravers. Together with Samuel Morse, Durand and others, Wright was one of the "First Fifteen" founders of the National Academy of Design in 1825. Charles Cushing Wright has been called "The First American Medalist". He both designed and cut his medals 17 of which are currently in the permanent collection of the Metropolitan Museum of Art. Wright married Lavinia Delliber (died July 6, 1860), a Huguenot from Charleston, South Carolina and a direct descendant of the second settlers of that city. He was the father of the notable physician Hannah Amelia Wright. ^ Wright, Charles Cushing, Bénézit. ^ a b "Charles Cushing Wright (1796-1854)". Retrieved 14 August 2017. ^ "Charles Cushing Wright and His Medals". Retrieved 14 August 2017. ^ "Collection / 17 results out of 448,508 records". Retrieved 14 August 2017. ^ Willard, Frances Elizabeth, 1839-1898; Livermore, Mary Ashton Rice, 1820-1905 (1893). A woman of the century; fourteen hundred-seventy biographical sketches accompanied by portraits of leading American women in all walks of life. Buffalo, N.Y., Moulton. p. 803-804. Retrieved 8 August 2017. This article incorporates text from this source, which is in the public domain. Louis Comfort Tiffany was an American artist and designer who worked in the decorative arts and is best known for his work in stained glass. He is the American artist most associated with the Art Nouveau and Aesthetic movements. He was affiliated with a prestigious collaborative of designers known as the Associated Artists, which included Lockwood de Forest, Candace Wheeler, and Samuel Colman. Tiffany designed stained glass windows and lamps, glass mosaics, blown glass, ceramics, jewelry, enamels, and metalwork. He was the first Design Director at his family company, Tiffany & Co., founded by his father Charles Lewis Tiffany. 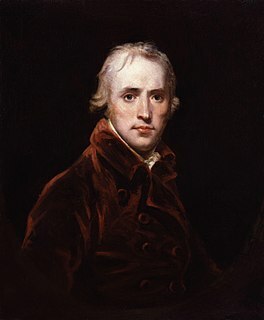 John Hoppner was an English portrait painter, much influenced by Reynolds, who achieved fame as a brilliant colourist. John Trumbull was an American artist during the period of the American Revolutionary War and was notable for his historical paintings. He has been called The Painter of the Revolution. Asher Brown Durand was an American painter of the Hudson River School. John Vanderlyn was an American neoclassicist painter. John Frederick Kensett was an American artist and engraver. A member of the second generation of the Hudson River School of artists, Kensett's signature works are landscape paintings of New England and New York State, whose clear light and serene surfaces celebrate transcendental qualities of nature, and are associated with Luminism. Kensett's early work owed much to the influence of Thomas Cole, but was from the outset distinguished by a preference for cooler colors and an interest in less dramatic topography, favoring restraint in both palette and composition. The work of Kensett's maturity features tranquil scenery depicted with a spare geometry, culminating in series of paintings in which coastal promontories are balanced against glass-smooth water. He was a founder of the Metropolitan Museum of Art. John William Casilear was an American landscape artist belonging to the Hudson River School. Thomas Prichard Rossiter was a 19th-century American artist known for his portraits and paintings of historical scenes. Henry Inman was an American portrait, genre, and landscape painter. Chester A. Beach was an American sculptor who was known for his busts and medallic art. Elias Durand, born Élie Magloire Durand, was an American pharmacist and botanist. He was born in France. Joseph Wright, born in Bordentown, New Jersey, was a portrait painter who was affiliated with the United States Mint in the late 1700s. It is thought that either he or Henry Voigt designed the Liberty Cap Cent, although most historians and numismatists today credit the design to Wright. He also presumably designed the 1792 Quarter dollar pattern. He was George Washington's original choice for the Chief Engraver of the Mint, but he died before being inducted into the position. Hannah Amelia Wright (1836–1924) was an American physician, and the first female doctor to be appointed as an examiner in a state asylum.